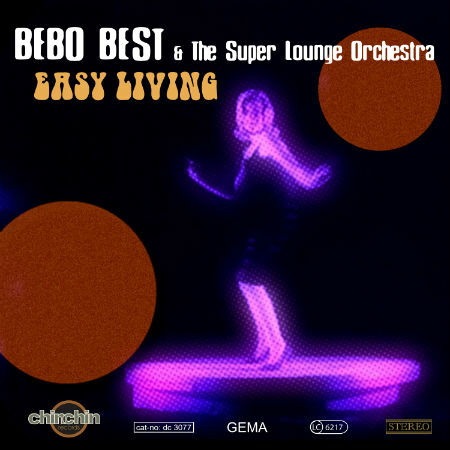 In anticipation of the release of new album “JazzMamba” scheduled to hit stores on October 7th, nu jazz / bossanova outfit Bebo Best & The Super Lounge Orchestra have launched the video of “Easy Living feat. Robert Passera“, the second single to be extracted from the upcoming full-length. The track is a powerful mix of sounds from the 60s, upbeat, danceable and infectious, making it impossible not to tap your foot while you listen to it. Robert Passera adds a ye ye touch and a soulful r’n'b arrangement, reminiscent of Montefiori Cocktail or Pizzicato Five, while assembling voices, sounds and beat in the style of Skeewiff. The result is a special brew of bossa grooves, jazzy vocals and that ’60s-’70s lounge and soundtrack flavor, with excellent classy musicians blending Brazilian music, Italian-styled grooves and jazz dance. “JazzMamba” follows in the footsteps of previous album “D’Jazzonga” and provides a Latin jazz funk workout that is proudly retro and vibrantly soul-house alive. The style of this new work ensures that high level of musical quality of previous albums Bebo Best & SLO, with nu-funk elements, bossa, jazz and rightly so, with huge portions of funk and soul jazzy moods stomping through with their hard-hitting sound.